There will be thousands of ducks racing around the Lazy River at Hays Aquatic Park. The ducks will be split into heats of about 2,500 ducks per heat. The top 500 ducks (from each heat) will get to compete in the big Championship Race! Prizes will be awarded to the first 10 ducks crossing the finish line at the Championship Race. We will have almost all the ducks sold prior to the event. 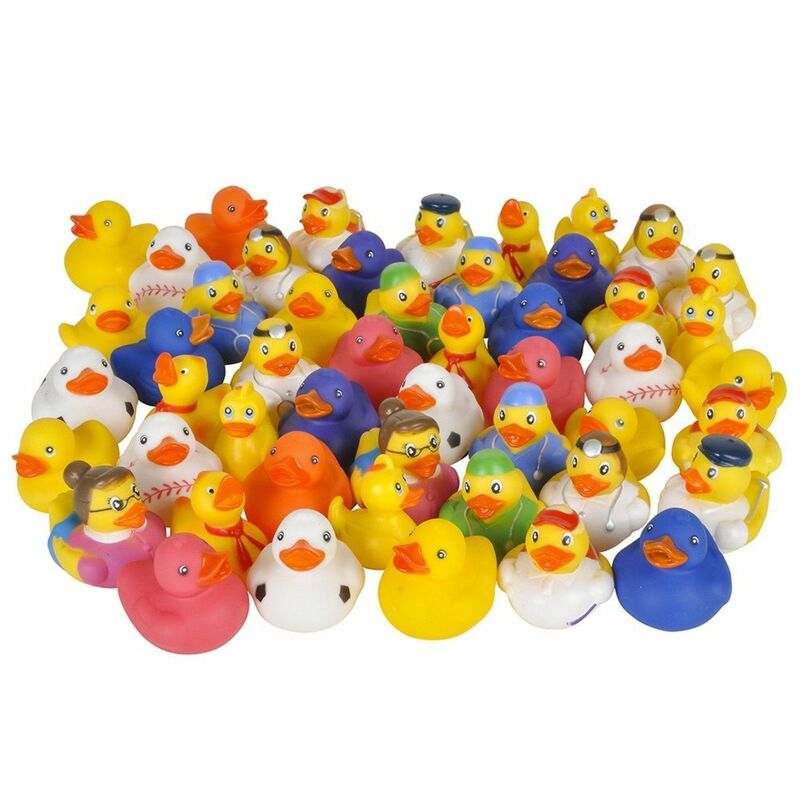 However, any remaining ducks will be sold at the event prior to the first race. See complete list of prizes on the “Duck Derby” tab. 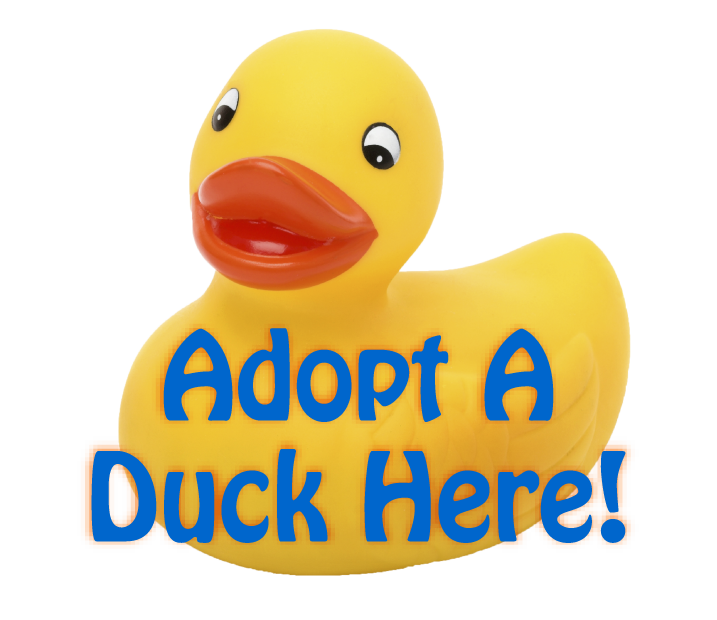 There will be a Duck Dash for kids ages 12 and under with brightly colored ducks sold for $2 per duck. Each child will get to take a duck after the race. There will also be prizes for the top winners of the Duck Dash. See complete list of prizes on “Duck Dash” tab. Businesses will build a boat made only of cardboard and duct tape. It will be a lot of fun with people gathered around cheering for their favorite, watching boats sink, and the winner crossing the finishing line. Boats can be painted and decorated, but only cardboard and duct tape may be used to build the boat. 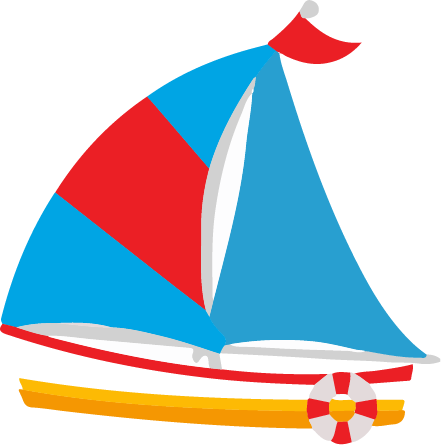 An entry into the boat race will cost $500 and we will only accept 24 entries. There will be multiple boat races in the lap pool with 6 businesses per race. The boat with the fastest time will have naming rights for next year’s soggy bottom challenge. Certificates will be given for: Titanic Award, Spirit Award, and Best of Show. There will be kids games such as hula hoop contest, duck waddle races, & other fun activities. 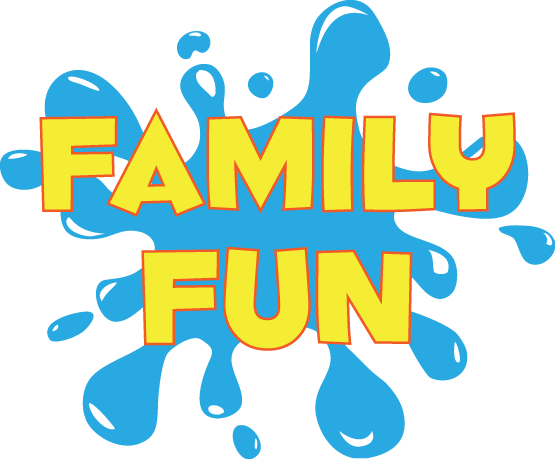 Free swimming in the Hays Aquatic Park’s zero entry pool starting at 5:00 P.M.
Bring the Family! Grilled hot dogs, chips, cookie & water will be available starting at 5:30 P.M. Copyright © 2019 Hays Duck Derby. All rights reserved.